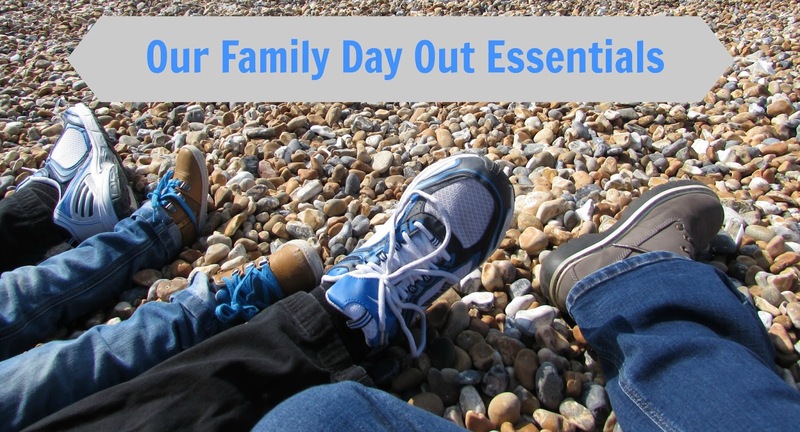 With the school holidays approaching, my mind has been turned to the possibilities for upcoming family days out, and in turn, our essentials for such outings. The basics you bring for any trip will vary from family to family, however the items listed below are things I try to never leave without when it comes to exploring as a family. With a day full of adventuring and activity, staying hydrated and refuelling frequently is important for all ages. Children eat a lot, at least my 3 year old does, and I rarely go anywhere without snacks on hand - a cranky toddler, or adult for that matter, doesn't exactly spark fun on a family day out. No matter how much you plan, you never know when your next food or beverage stop may be. To be honest, on the whole, Alexander isn't that messy of child and very rarely do we have to use a spare change of clothes, however it is always handy to have an extra set of clothes. Along with spare clothes, wet wipes are an essential too. Sticky hands, snotty noses, accidents of the toilet kind... There are many occasions when wet wipes come in handy. Living in the UK, weather can be pretty unpredictable, and for that reason we have raincoats on hand all year round. Alexander and I actually each have a pac-a-mac raincoat that we keep in our backpacks as that way it's one less thing to think about. Speaking of my backpack, I also keep a small packing cube in there that carries a number of medical items as well as some miscellaneous items also - plasters, hand sanitiser, pain medication, throat lozenges, lip balm, a packet of tissues, deodorant etc. Alexander is toilet trained, and a portable toilet seat is an essential when it comes to using public toilets. Not only do I love to capture nature and all that is around me, but I also capture a lot of treasured family moments in both picture and video format. WHAT ARE YOUR ESSENTIALS WHEN PLANNING A DAY OUT? Haha! I'm so glad I don't have to deal with the nappies anymore - one less thing! Haha! We're the same with Alexander regarding the toilet! Plasters are an essential - children or no children! Thanks for stopping by! So worth it to carry the extras, especially with preschooler in tow!